Following another successful year in business which saw us unveil our T6 Pick-up and T6 Tip-up bodies for Volkswagen’s new Transporter chassis, we’re thrilled to expand our capabilities even further with a £1.8million investment at our Telford site. 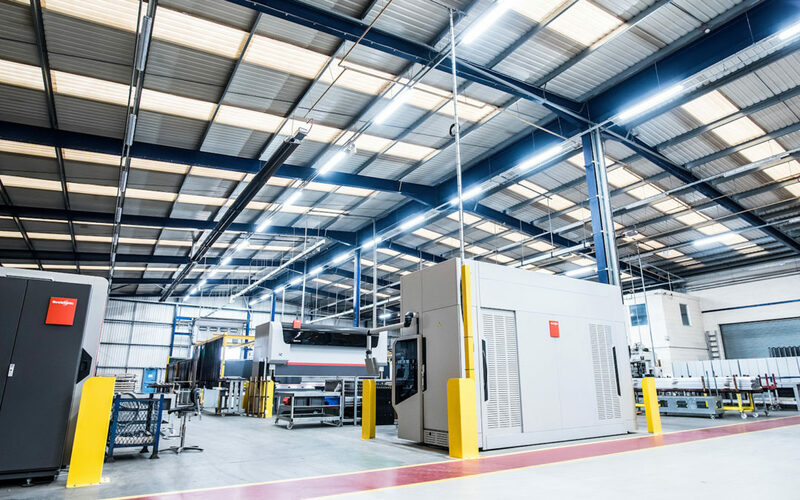 As part of the development, we’ve added new levels of automation with the major replacement of our hand-fed laser cutting machine with an automated one, enabling programmes to be set and run all the time, and significantly reducing lead times for customers. We’ve also added a new sawing automation which allows the team to more efficiently process individual jobs by developing and designing tailored programmes, as well as introduced a 6-axis machining centre and new sheet metal forming processes. Justin Gallen, Managing Director of Ingimex, explained: “We’re proud to call Ingimex a champion of British manufacturing, with all of our bodies made from materials that are increasingly being made here in the UK. Our latest investment in our manufacturing equipment is testament to the success the company has experienced over the last few years in particular, with our continued work to develop the bodies we make in partnership with leading vehicle manufacturers. “The new equipment has significantly streamlined our processes, with our team now able to maximise their time otherwise spent on operating the machinery, to designing, testing and assembling the manufactured bodies onto the chassis. We handle everything in-house from our state-of-the-art site in Telford, and this investment is just one of the latest enhancements we’re making to allow us to continue to serve the industry to the highest standards now, and in the future,” Justin concluded.